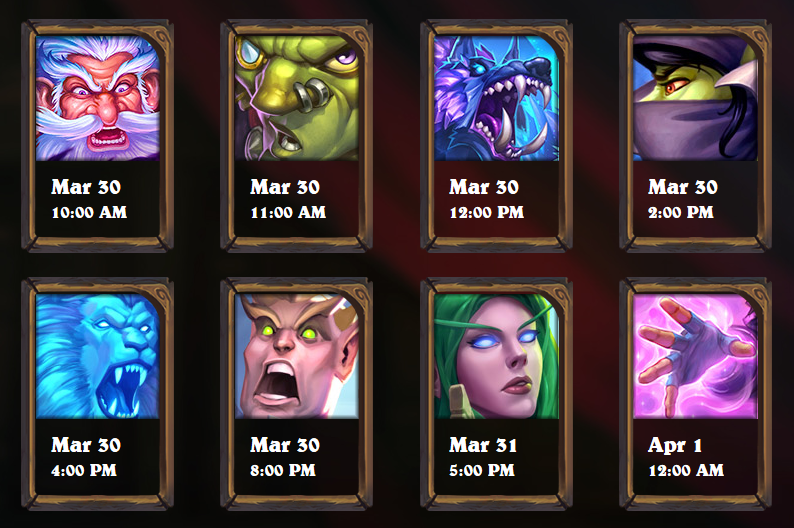 The community card reveals for RIse of Shadows will happen during the next ten days. The reveal of the... reveal schedule was done a bit differently this time, since there was no official article. 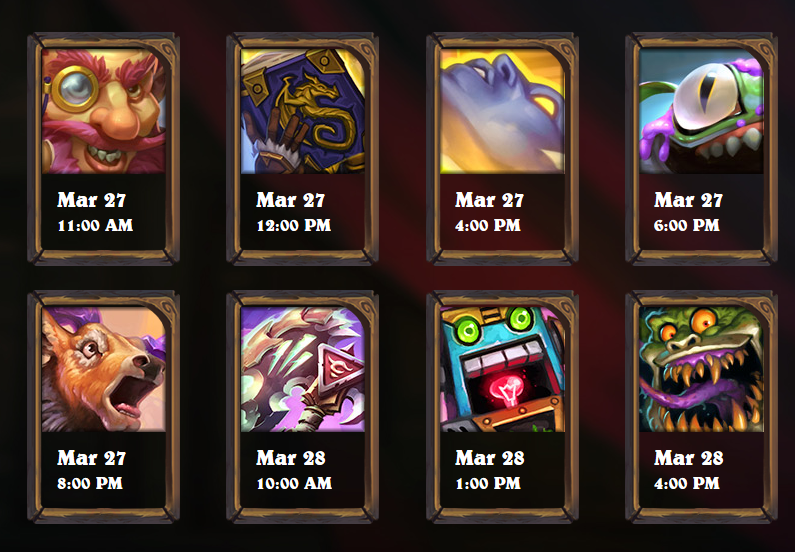 Only the dates and the links for the various community sites and streams were posted on the Rise of Shadows official website. 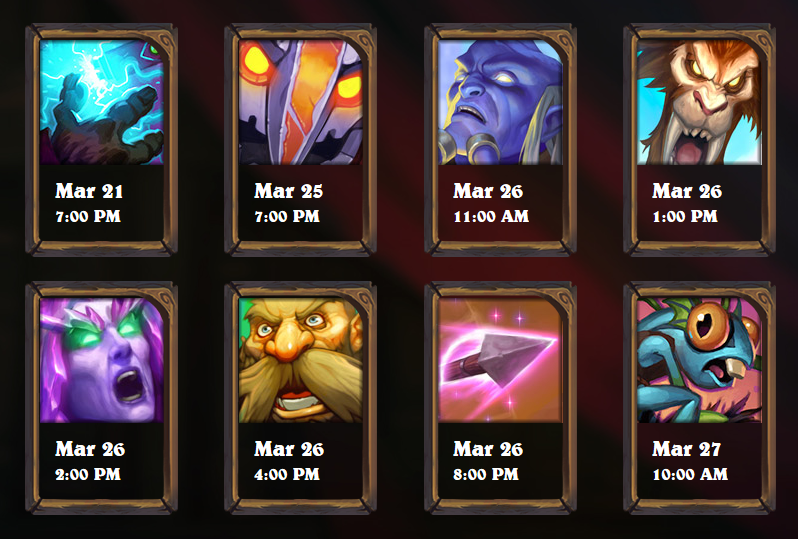 The first reveal stream will happen on Monday March 25 at 10 am PDT. 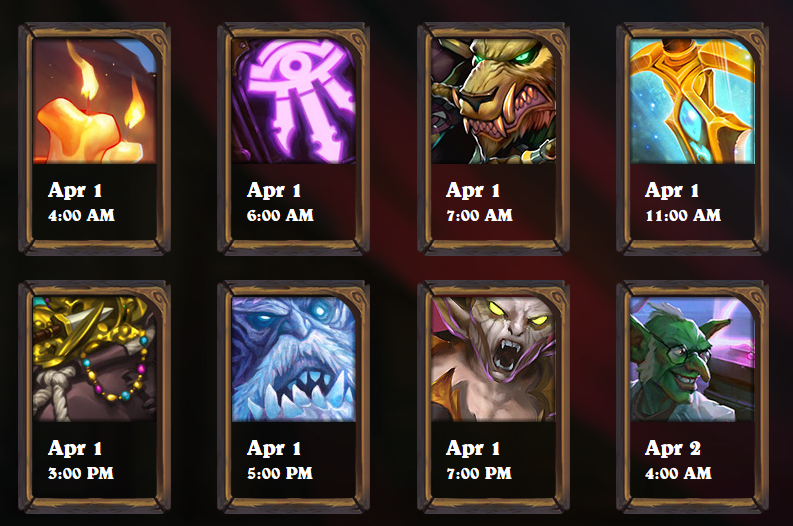 The final reveal stream, where the entire set is unveiled, should happen during the first week of April. 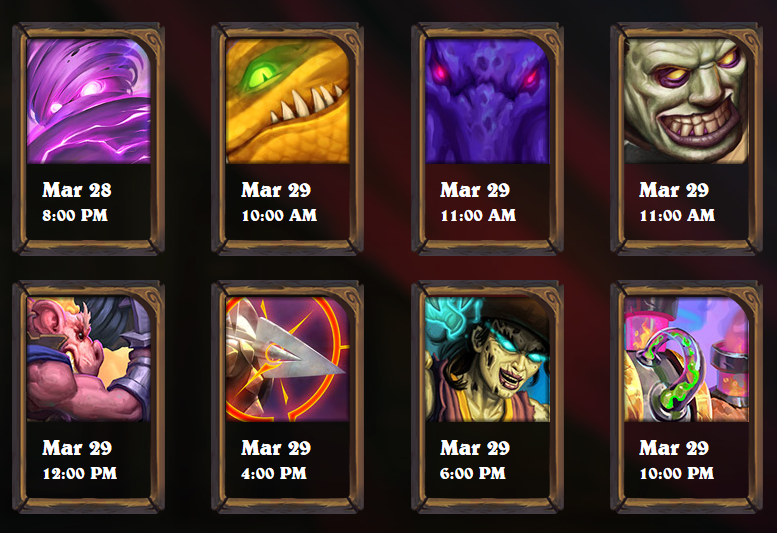 The expansion releases on April 9.